What better way to enjoy the outdoors than with your new screened porch, deck, or sunroom? Take in the sunshine, fresh-air, and all the benefits of being outside, with as much added protection as you desire. Magazi-AG has worked as a deck contractor and screened porch contractor for more than 25 years, creating beautiful, versatile outdoor spaces that add value to any home. Screened porches are one of the most cost-effective, versatile ways to add space to your home that is semi-protected from the elements, but still allows you to enjoy the outdoor experience. A screened porch protects you from sun and rain while still allowing for that open-air feel and a nice breeze. Locking screen doors add a layer of security as well. A well-planned screened porch will provide natural light, and a comfortable environment that’s free from the negative experiences of the outdoors. Screened porches can add to the value of your home so long as the design is well planned out. It’s essential that the design’s interior and exterior match seamlessly with your existing home, and blend in as if they were part of the house all along. Mary and her son George have been working as screened porch contractors for more than a quarter century. They work together to ensure that the entire process is stress-free and efficient. For those that want to experience everything the outdoors have to offer, Magazi-AG can create a deck that meets your every need. 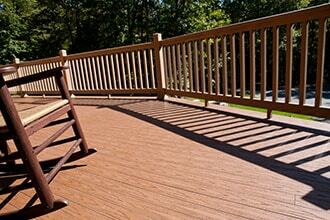 Composite decking is a highly popular material that is virtually maintenance free. More than that, composite decking offers a range of design choices including natural wood looks or colors that can blend in with the home’s exterior. Cooking and entertainment can move out on the deck with a built-in grill, burner and under counter refrigerator. 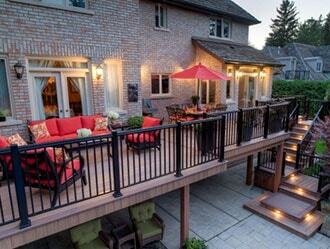 The first step in creating your dream deck is to schedule a free consultation with us. We’ll sit down with you, either at your home or in our studio, and go over all your plans for the space. Do you want a special area for cooking? How about eating? Anything you can envision for the space can be made into a reality. A sunroom addition can be as simple as the addition of glass inserts into a screened porch area, allowing the space to be utilized during colder months. Or it can be as involved as if you were creating a completely new family room addition, with three full walls of windows to let in maximum amounts of natural lighting. 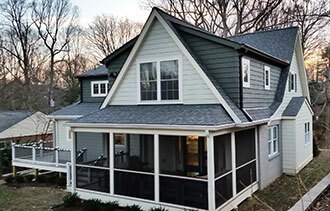 Magazi-AG has completed decks, screened porches, and sunrooms throughout Montgomery, Howard, Baltimore, and Anne Arundel Counties, including the towns of Bethesda, Silver Spring, Rockville, Chevy Chase, Kensington, Gaithersburg, Olney, Ellicott City, Columbia, Annapolis, and more. Start crafting your outdoor space today with a free consultation in your home or at our showroom. Call us at 301-913-0286 or contact us today to get started.